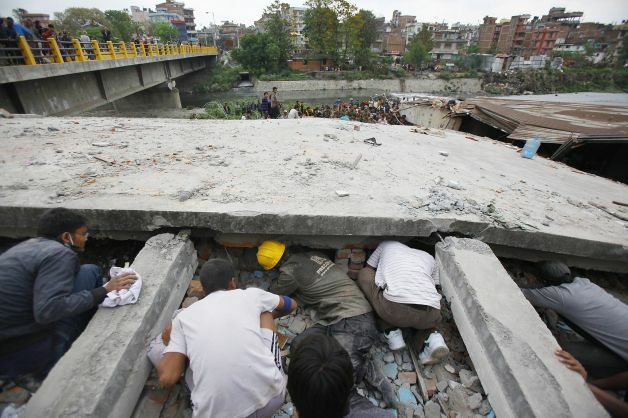 Nepal: What if Saving My Boys Means We Don’t Save Yours? Let me be clear: if my boys are caught on Everest when the avalanche hits, I want the full thrust of the world’s resources put toward their rescue. But what if saving my boys means to a mother down below that we won’t save hers? This is why talk about “how to allocate resources” in the search and rescue phase of an emergency is so frustrating. The discussion is so administrative, so technical, so mundane. In reality, however, resource allocation decisions result in gut-wrenching consequences that need to be acknowledged and debated front and center. We can sanitize it all we want, but the people who decide where the money goes (both before and after a disaster) also decide who lives and who dies. The Government of India response is inspirational. I am happy to see you mention helicopters and medical assistance in Pokhara. However, a big concern I am sure share is with the isolated villages in the steep hills directly over the epicentre, for example in Gokhara District. I am struck by the fact that in UK 23% of all media coverage has so far focused on the Mt. 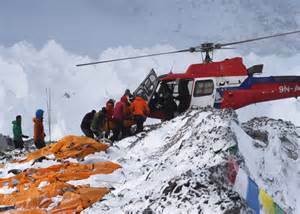 Everest climbers and there are commercial medical evacuation helicopter teams currently evacuating the injured climbers and others from Everest base camp. All lives are precious, so I am not questioning the care that these climbers are getting. However, I think the readers of RADIX will join me in questioning the ‘pay-for-play’ state of human civilization. These climbers are insured, and their care and transportation is by a for profit helicopter industry. Nepal has a large private aviation industry including a number of helicopter companies. So what about the people who cannot pay? Does the government of Nepal have standing orders and memoranda of understanding with the private helicopter industry that would provide their services in a national emergency? Why at the moment is there still only a little reconnaissance by helicopter going on in the epicentre-affected rural and peri-urban zone between Pokhara and Kathmandu? After the Wenshun earthquake in Sechuang, China, the Chinese military dropped paratroops with medical and light search and rescue equipment into a very similar, inaccessible zone that had suffered thousands of earthquake triggered earthquakes. They also established by helicopter medical and triage posts in the valley bottoms. 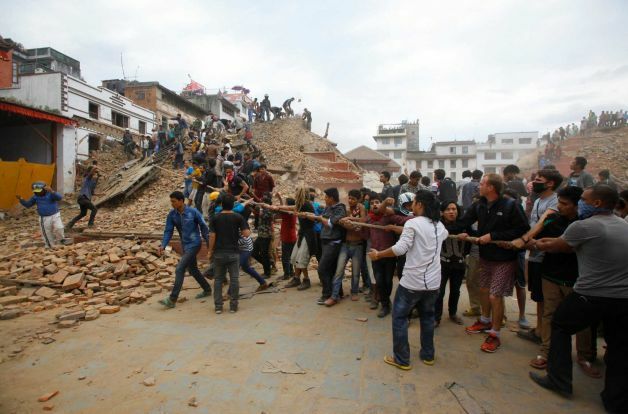 It is easier for villagers to transport the injured downhill, and the valley bottoms (if not in danger of landslide-triggered flooding) offer flat land. This should happening immediately, today, in Nepal. I have been looking at Google Earth images of these affected ridge and valley landscapes. Such an approach is feasible. [As] as a friend, I put this to you an also to the RADIX community: Once upon a time, in the 1970s, there was an strong international voice demanding ‘Health for All’. Subsequently we have seen growing inequality of rich and poor everywhere on planet Earth accompanied by the erosion of the NHS in UK, only a limited and much contested health insurance system under the Affordable Care Act in the US. Everywhere the welfare and social protective function of governments is under attack by neoliberalism. Here, then, in the distribution of health resources and helicopters in this extreme situation, we have a perfect symbol of what citizens have let happen. We have to contest this and fight back! (photo credits: Rajasthanpatrika.patrika.com – top; Times Union – bottom two.